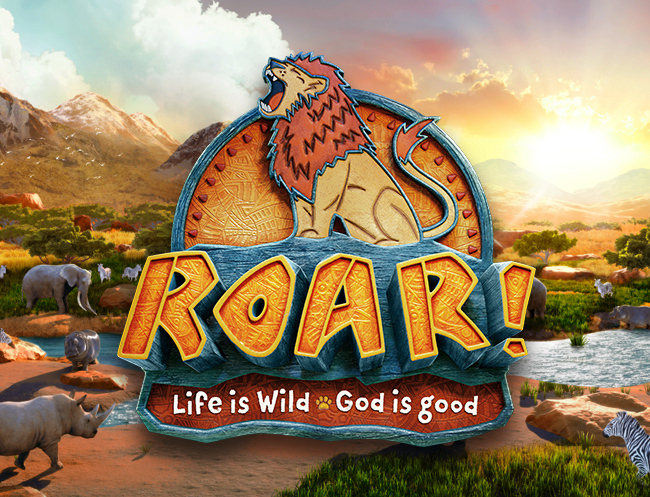 We're excited to announce that this summer's Vacation Bible School theme is Roar! Life Is Wild and God Is Good. At Roar VBS, kids will explore God’s goodness and celebrate a ferocious faith can power them through this wild life. Vacation Bible School is open to children who are entering Kindergarten through 7th grade in the fall of 2019. Session II July 15-19, 2019 9:00 a.m. - 12:00 p.m. Looking for a full day of summer fun? Glen Mar offers an Extended Day option at an additional cost of $140 per child for elementary-age children who participate in the morning session. Extended Day runs from noon until 4:00 p.m. to accommodate families and their busy schedules. More details about the Extended Day option will be announced in February. It’s never too early to sign up for your favorite VBS job! Contact Margaret Lang at margaret.lang@glenmarumc.org.